Perusal of the business news on any given day reveals corporate behaviour unbecoming a civil member of society. Whole Foods Market’s CEO John Mackey used an alias on Yahoo Finance’s bulletin board for seven years to post comments that maligned rival Wild Oats Markets while boosting perceptions of his own firm. Both Uber and Lyft claim the other secretly ordered and canceled thousands of rides to increase their rivals’ operating costs and frustrate their customers. Firms regularly steal from and spy on each other, fund fake research to mislead political actors and customers, and bribe the media for desirable portrayals. These actions demonstrate a need by firms, not necessarily to be the best in the market, but to be perceived as better relative to competitors. The drive to succeed in the market is a fight for a fixed resource — the attention of common audiences (particularly consumers). To better understand how firms manage perceptions of themselves while competitors are deliberately trying to denigrate them, we analysed one of the bitterest rivalries in corporate history — the War of the Currents between Thomas Edison and George Westinghouse. Relying on a historical case study assembled from primary sources (such as personal correspondence, firm records, and contemporaneous news coverage) and secondary sources (such as prior academic research), our research exposes the extreme lengths to which Edison went to try to win his market battle against Westinghouse. 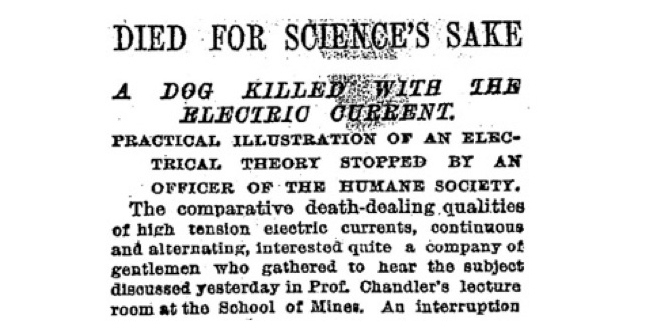 Leveraging widespread anxiety surrounding the potential dangers of electricity, Edison’s task was to demonstrate not that the ‘invisible force’ itself was bad, but that Westinghouse’s version of it (AC) was inferior to his own (DC). The War of the Currents was a multi-year campaign waged by Edison against his industrial rival, Westinghouse, which took place at the end of the nineteenth century. Our analysis revealed three distinct stages embedded in the inherent messiness of this war: (1) the spearheading of a campaign by Edison; (2) the response by the three audiences Edison was seeking to influence (politicians, electric companies, and the media); and (3) the response these reactions engendered in Westinghouse. Edison’s attempt to discredit Westinghouse was unrelenting, and utilised multiple campaigns intended to link AC with danger. The first campaign entailed lobbying New York legislators to adopt AC dynamos for the executions of condemned criminals. This campaign demonstrated the deadly “benefit” of AC to politicians looking for alternatives to hanging, which was both inefficient and cruel. Edison advocating for Westinghouse’s technology may seem counterintuitive until one considers that success would demonstrate a cost to electric companies — retail customers’ fear. The second campaign reinforced the first by trying to demonstrate AC’s death-dealing prowess through public performances at such esteemed locations as Columbia University and John’s Hopkins University. 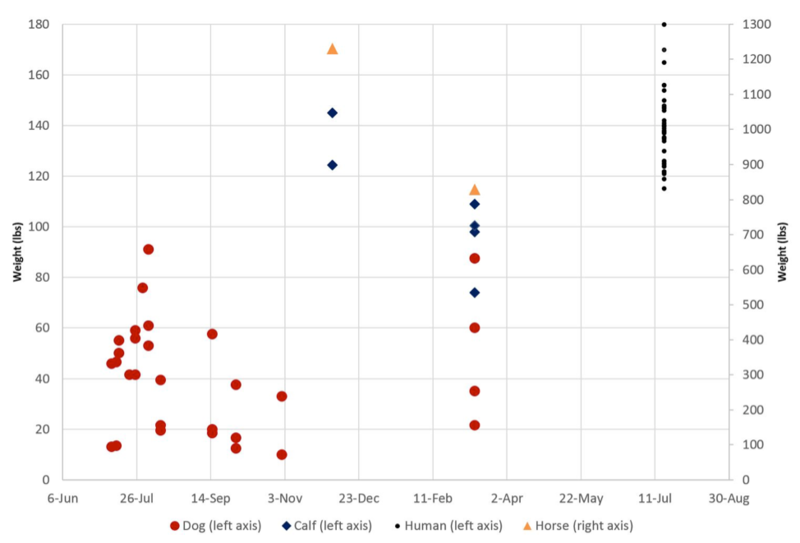 The experiments began with small dogs, shifted to larger dogs, then to calves and horses. The experiments culminated in the resistance testing of humans to determine whether the same levels of power were passed through the body uniformly and thus whether using electricity to execute a condemned murder could be considered unconstitutional. Edison made his own private lab available for dry-run experiments on the animals, provided financial support, and paid to distribute the results of the experiments to “to mayors, members of city governments, insurance men and principal businessmen in every city and town of over 5,000 inhabitants in the United States.” Edison even paid local children 25 cents for each dog they could deliver. The third campaign entailed lobbying state and local legislators in New York, Virginia, Ohio, and Pennsylvania to cap voltage levels across all electrical standards — a move designed to erase the cost-saving benefits of AC, but framed as a way to prevent danger from electric currents. Westinghouse remained attentive to the reactions of the target audiences of Edison’s campaign — at first ignoring the campaign, then later contesting Edison’s claims about the safety of AC, before deciding to spearhead his own campaign focused on a different attribute of the product — its scalability, which was demonstrated resoundingly during the World’s Columbian Exposition in Chicago in 1893. Ultimately, Edison lost his war with Westinghouse because the latter innovated in important ways to make Edison’s claims irrelevant to most customers. The implications of what we call competitive impression management are profound for firms, especially in zero-sum markets where standards are at stake. By 1931, AC served 98 per cent of the US electricity market, and even Edison’s own firm began selling AC systems to remain relevant. To win in a market, firms do not need to be the best; they only need to be perceived as better than their competitors by key target audiences. But, it is also true that the competition produces better outcomes. In order to defeat Edison, Westinghouse had to innovate — progress from which we are still reaping the benefit. Moreover, our paper complements prior research that has argued that the reason individuals and organisations selectively pay attention to certain events in the environment is driven not by the objective characteristics of the event but by the event’s enactment in the environment. Of particular importance was the exploitation of information filters, which draw attention to some information and not others. Our study provides evidence that industry attention is “curated” by organisational actors who perceive the world through their own filters and remain mindful of how others do the same. Featured image credit: New York Times, July 31, 1888. Benjamin M. Cole holds the William J. Loschert Endowed Chair in Entrepreneurship at Fordham University’s Gabelli School of Business. He uses both domestic and international settings to investigate how social factors influence technological innovation, regulatory oversight and economic exchanges. He received his Ph.D. from the University of Michigan. David Chandler is an associate professor of management at the University of Colorado Denver Business School. His research focuses on understanding how organisations interact with their complex institutional environments. He received his Ph.D. from the University of Texas at Austin.